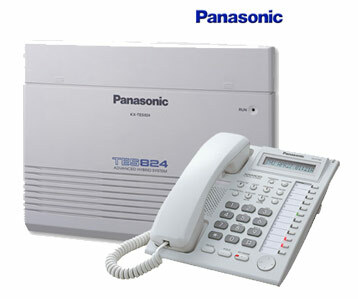 Panasonic, a global household name has been in the business communications sector for more than 30 years. Their PBX switchboard products range from entry-level analogue PABX systems suitable for SOHO offices to advanced IP PBX phone systems and are ready for a Unified Communications office making use of many built-in applications. United Business Solutions is an authorised dealer, installer and preferred service partner to Panasonic's range of PBX systems and has a large nationally installed base. 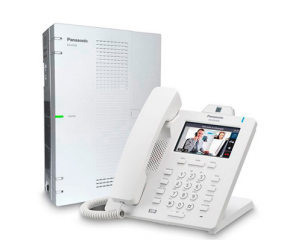 Please take a look at our Panasonic PABX telephone systems below and request a quote for rental or cash purchase. The KX-TES824 is initially configured to 3 exchange lines and 8 extensions. With optional cards you can easily expand the capacity up to 8 exchange lines and 24 extensions. The system comes with built-in DISA / Message on busy, Extension Caller ID, Remote Modem and USB Port for PC Programming. 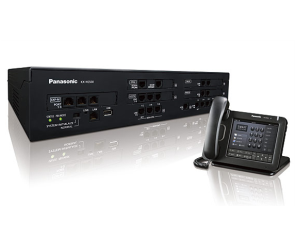 The Panasonic HTS32 is a compact hybrid IP-PBX. From start-ups, residential buildings to security, hospitality and warehouse environments, the Panasonic KX-HTS32 PBX is designed to meet the needs of small and home office (SOHO) businesses. The Panasonic KX-NS500 is a smart hybrid PBX for companies with up to 250 employees, that can be flexibly configured and expanded according to the specific requirements of the business. 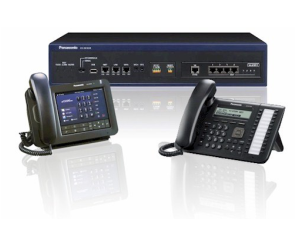 The Panasonic KX-NS1000 PABX System is a streamlined IP communications platform designed for the small to medium sized business as well as the Enterprise facility with up to 1000 employees and multiple sites.